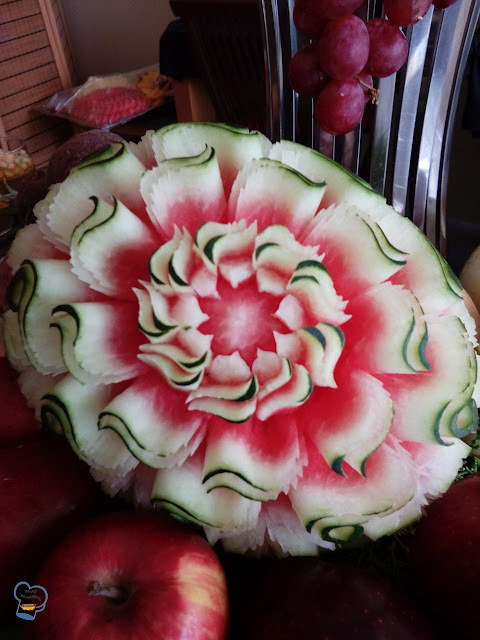 We have a new member in the kitchen, a sous chef who never ceases to amaze me with his talent of turning an average looking fruit into a masterpiece. 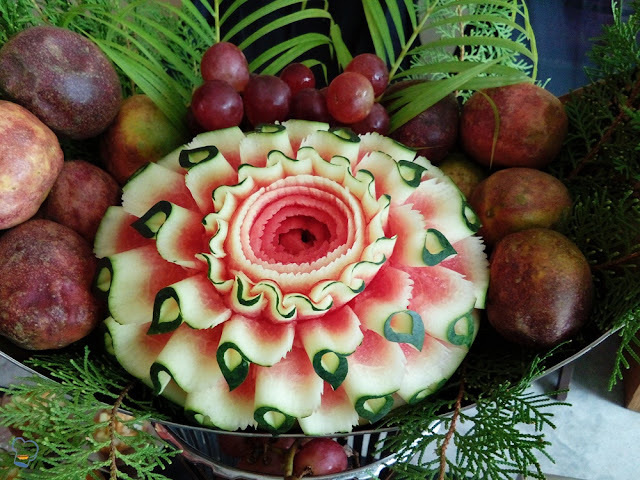 He has only been with us for a few weeks and has done a handful of fruit carvings and let me say he does a more elaborate and painstaking work among his peers. 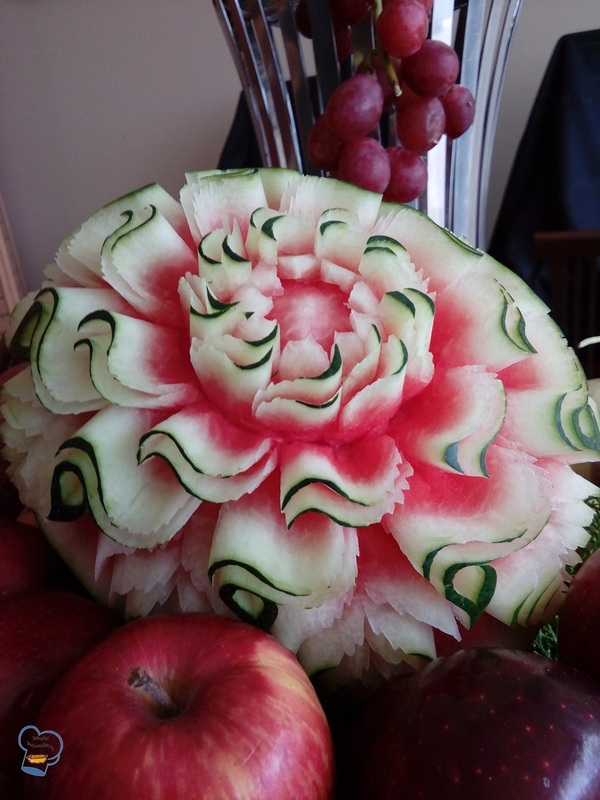 His impressive creation now graces the dessert table at our famous Sunday brunch. 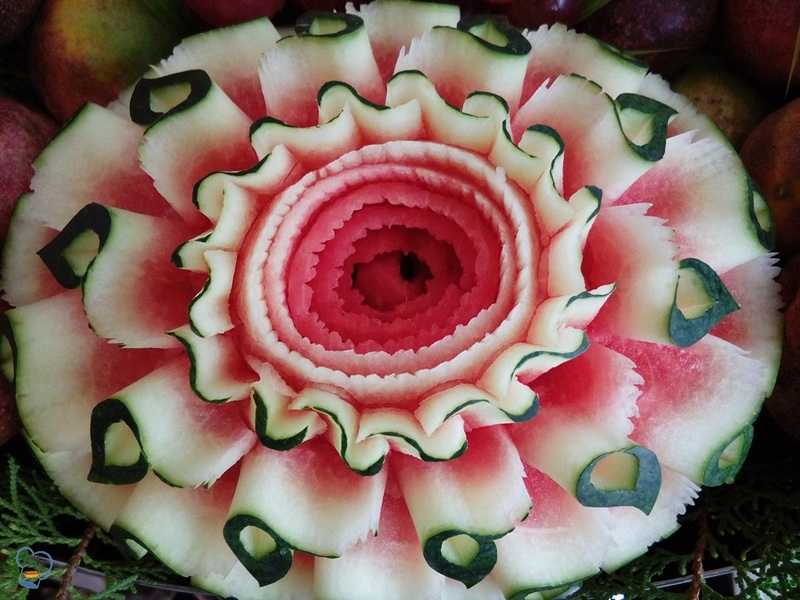 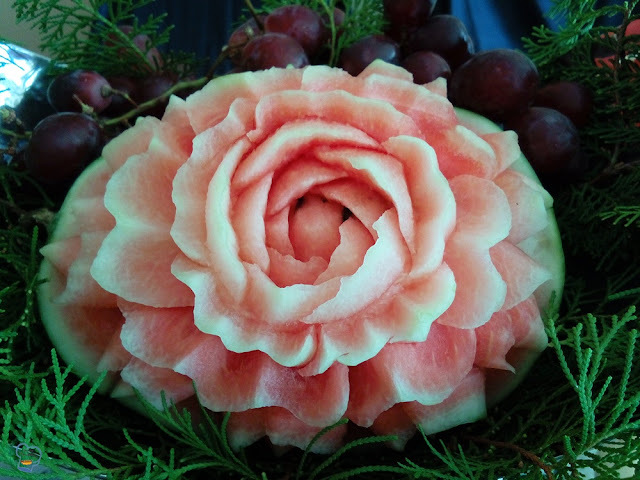 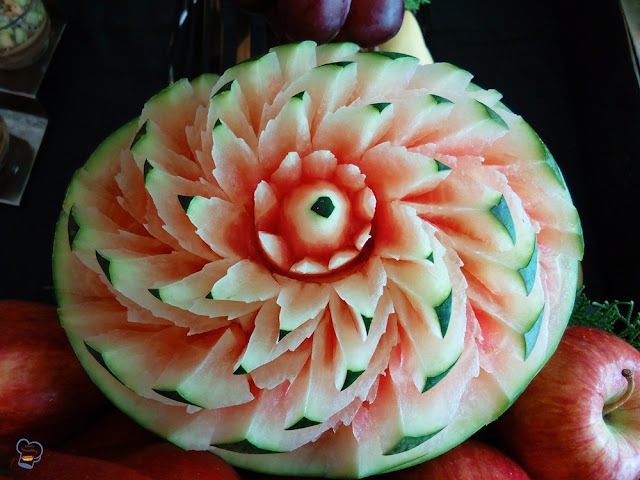 See more of his incredibly beautiful watermelon carvings.